This is an image of zebras eating hay, but can you spot exactly how many zebras there are ? yeah, totally 2! I thought those were those blurry computer affects at first! 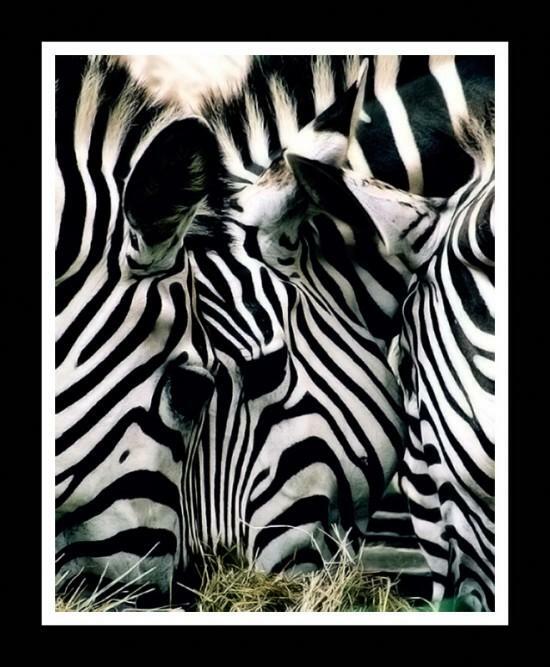 there are obviously 4 zebras in the picture. Count the ears, the eyes, and run along the lines to make out how long the faces get. 3 Zebras. Actually, yeah 3. Ignore the pic. Definately 4 because theres one on the left side looking towards the right, a zebra with its body on the right but its face in the middle facinf forwards, a baby zebra in the middle and the back of another zebra on the bottom right. lf anyone is reading this l would be very grateful iif you let me know if this has been uploaded as l am not sure. lf you are seeing this please wriite in your comment, 'l like rusty spoons' or something salad fingers relatd. Thank you!!! 3ears, 3 zebras! I think everyone is over thinking it!